If you have been tracking your website tracking using Google Analytic or other related Analytic software you many have noticed that over time fewer and fewer results were showing for Keywords used by visitors or if you have seen the message “google keywords not provided” this is due to changes that Google has been making to help secure information about users search habits. First we were missing about 14% of the keywords used to located our sites. But over time that grew to 30%, then 45% and now we are in the range of 75% with Google now saying it will only allow people to see keyword use information for Pay-Per-Click users and not regular search users. Why Google decided to do this is unclear. It is thought that perhaps it is a way of pushing more businesses into PPC advertising since keywords are still reported for ad campaigns. This change has made understanding how well we are doing at targeting keywords difficult since we cannot be certain what keywords brought visitors to a website. And while it does present a challenge it does not mean we should throw in the towel and give up on Keyword Marketing. What it does mean is that we have to work in different ways to determine the success of keywords we use. One way we can do that is to see how well our pages are doing and check to see what keywords we have targeted in those pages. Running PPC (Pay Per Click) ads would help a lot because those keywords are reported. There is also some results reported by Yahoo and Bing however it is likely those results will be gone soon as well. 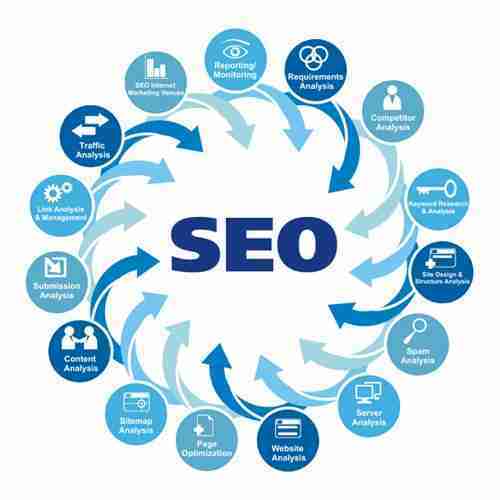 Like much of SEO work there has always been a lot of time spent interpreting the Analytic results and that is one of the things that makes Internet Marketing so challenging and interesting. This change by Google has added a new wrinkle in the way we go about the Analytic side of SEO work. It is important to look at what has not changed… A Quality Constructed Mobile Friendly Website, Good Optimized Content, Quality Citation Links, Back Links and Social Media, and PPC all play the same roll they have for some time now.